Your book cover is the most important selling tool that your book has. It’s therefore imperative that your cover matches your audience’s expectations. It’s not about personal preference, even if you’re part of your target audience. You’re too close to your design to judge it objectively, which is why it’s important to know the market that your cover is aimed at. Even subgenres have subtle differences in cover design, such as epic fantasy compared to urban fantasy. Both use the cover to reflect where the book is set: urban fantasy usually has cityscapes in the background, while epic fantasy doesn’t. Subtle differences like this can make a huge difference to your book cover. Knowing these are key to designing a book cover for market. Yes, you need to research book covers. This is a mistake I made when doing the original cover for What Happens in New York. What do the other covers in your genre look like? Bright colours? Serif or san serif fonts? Photos or illustrations? Make notes of any common elements you discover. Keep note of any covers that really catch your eye, too, as you can use them as inspiration. Try a variety of keywords related to your book. You have to simultaneously imitate the market while doing it better than everyone else. It’s no different than blogging in that regard. Amazon is the best and easiest place to look, but check out your local bookstores and supermarkets too—those are filled with traditionally published books doing well right now. 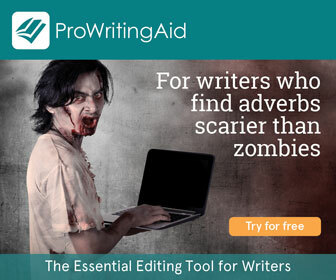 If you’re writing in one of these genres, it’s useful to keep an eye out. Photoshop is expensive and can be complicated, so if you don’t know the basics I’d stick with Canva for now. Canva has loads of templates for various genres and holds your hand much more than Photoshop. Some of its templates are still iffy, but you can manipulate them as much as you need to. People who aren’t in your target audience and who don’t know design will always tell you that your cover is great. That makes their feedback completely useless. There will always be things that you can improve on when it comes to your cover. Find people who can offer that feedback so that you can improve. While I value the opinions of my boyfriend, for example, he’s not in my target audience nor does he know book covers. He hasn’t done design for over a decade, so he can’t give me in-depth feedback on what works and what doesn’t. A great cover is like spotting great writing—while there are subjective elements to it, there are rules, too. Just the same as you can’t break the rules of writing before you know what they are, the same applies to design. Once you’ve done your design, put it aside for a few days (at least a week, I’d say). Don’t look at it, no matter how tempted you are. Could this hold its own if it stood beside a traditionally published book on a shelf? Does this work as a print AND an ebook cover? Would I want to buy this if I saw it on Amazon? Is the text legible as thumbnail? These are the very basic things you need to keep in mind when designing your covers. There’s nothing worse than looking at a self-published cover that looks self-published. It’ll be harder for you to get into bookshops (if that’s what you want to do), and if you’re in a competitive category, you’ll struggle to get sales, too. Covers aren’t always expense, but they can be. You can get premade ones for a reasonable price. Learning to design a decent cover takes time, and using cover designers built into KDP or Lulu is a risky game. They may hold your hand but many of the covers designed using these tools look amateurish. Even if you do use these, you still need to know you market before you begin. Outsourcing takes out the hassle. You know you’ll get a cover from someone who knows the market and how to put together a cover. There are plenty of self-publishing Facebook groups where you can ask for recommendations, too. Check the copyright pages of books that you love the covers of, too: they’ll mention the cover designer in there, on the back cover, or in the acknowledgements. Creating your own book cover is a risky game. It can be rewarding too, but it’s much easier for some genres (such as nonfiction) than it is for others (such as epic fantasy). Make your decision wisely because your cover is the difference between sales and no sales. What are your book cover design tips? What covers do you love? Introducing the Print Cover for What Happens in New York! What Happens in New York Launch Poster and Update!